We are pleased to introduce you to the mobile app for WCEAM & VETOMAC 2017! 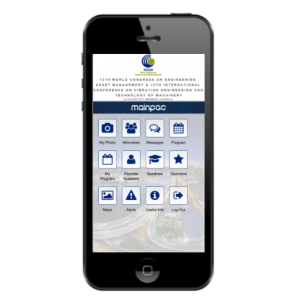 The app is your virtual guide to the Congress and has all the important information you’ll need plus features to enhance your Congress experience. 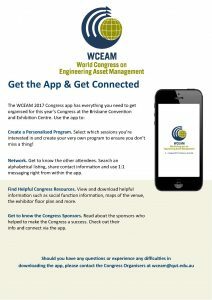 Please download the app prior to your arrival at the Congress. By now, you will have received your email invitation to the app. If you have not received this, or are having trouble accessing the app, please contact the Congress Organisers at wceam@qut.edu.au. We have developed this user guide to help you get to know the Congress app and its useful features. We recommend you read through the guide and familiarise yourself with the app prior to the Congress. Use this time to set up your attendee profile and connect with other attendees in advance. Click here to download the User Guide now!